Augustus “Gus” Tamburro served four terms as Mayor of Evesham from 1991 to 2007, working toward preserving open space and making capital investments into municipal resources. A file photo from The Sun’s archives of former Evesham Mayor Gus Tamburro when he last ran for Mayor of Evesham in 2007. Augustus “Gus” Tamburro – the man who served four terms as mayor of Evesham from 1991 to 2007 – passed away at age 81 on April 9. Tamburro’s 16 years as mayor saw him guide Evesham’s development throughout the 1990s and into the new millennium with the preservation of open space and making capital investments into municipal resources. Tamburro oversaw more than 1,000 acres of land dedicated as open space in the township, in addition to leading the town as it constructed and upgraded municipal projects still in use today. Those projects included, but were not limited to, the Memorial Field Sports Complex, the Blue Barn Recreation Center, an addition to the Gibson House Community Center, the Indian Spring clubhouse and the construction of the township’s current municipal complex and police headquarters on Tuckerton Road. In life, Tamburro would say he was particularly proud of the municipal complex project, for which he was instrumental in securing the funding and approval needed to replace what was then the township’s aging, smaller municipal building on Main Street. It was at that very same complex on Tuckerton Road where a future council would bestow upon Tamburro the title “Mayor Emeritus” several years after his last term had ended, in addition to naming Evesham Township Council’s meeting room in his honor. The township’s current elected officials also recognized Tamburro’s service to Evesham Township upon the announcement of his death this week, with Evesham’s current mayor and council requesting flags at the municipal complex to be flown at half-staff to honor Tamburro’s legacy. In a separate statement of her own, Mayor Jaclyn Veasy described Tamburro as a “friend and mentor” to herself and her family. 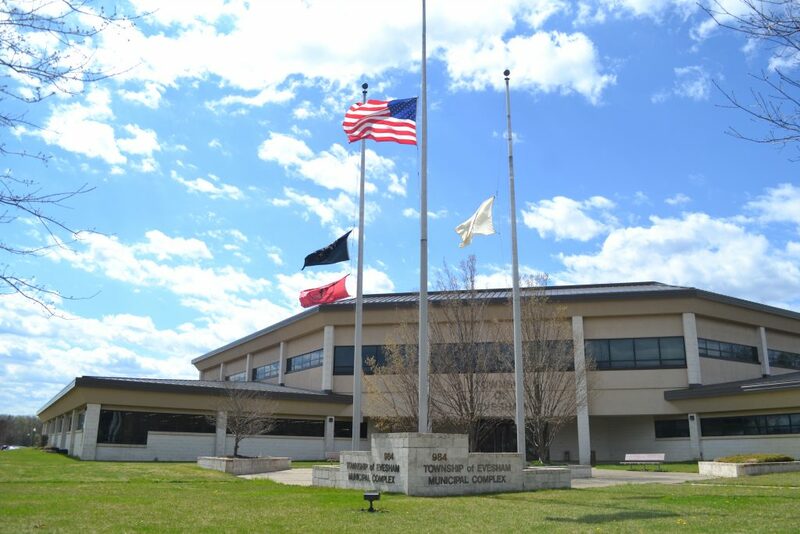 Evesham’s mayor and council requested flags at the Evesham Township Municipal Complex to be flown at half-staff to honor the legacy of former Evesham Mayor Gus Tamburro after his passing. Although Tamburro lived in Evesham for nearly the past six decades, he grew up in South Philadelphia. However, Tamburro would eventually meet his wife Edith, a South Jersey girl, when they were teenagers. They would marry at the start of the 1960s, and soon after the couple would settle in Evesham Township. In his life, Tamburro went on to have four daughters and a son, more than a dozen grandchildren and several great-grandchildren. As for his professional life, Tamburro, a LaSalle University graduate, would work in the insurance industry and later as an insurance investigator. However, in the mid-1980s, at age 48, Tamburro entered what is now the Delaware Law School of Widener University, where he attended night and weekend classes for several years to obtain a degree in law at age 52. Tamburro’s own law practice would eventually sit along South Maple Avenue in Evesham. It was also around this time that Tamburro would enter local politics when he ran for mayor, winning his first election 1991. Although Evesham’s elections were nonpartisan at the time, Tamburro had backing from the Burlington County Republican Party during his political career. Tamburro would win re-election three more times in 1995, 1999 and 2003. His political luck would finally run out in 2007, when Tamburro was defeated by Randy Brown, who had actually served as a Tamburro’s campaign manager four years prior. Although the township’s elections were still non-partisan at the time, Brown was registered and backed as part of the Democratic Party. Yet Brown himself would then switch back to the Republican Party for his re-election effort in 2010, which came after Evesham’s voters had previously approved a referendum to move the township’s elections to November and make them partisan contests. Upon the announcement of Tamburro’s passing, Brown, who served as mayor from 2007 through 2018, made a Facebook post in which he recalled memories of Tamburro performing the wedding for Brown and his wife Trisha, as well as Tamburro’s accomplishments in town. Brown was part of the council that honored Tamburro as “Mayor Emeritus” and named council’s meeting room in his honor. After his 2007 defeat, Tamburro would never hold elected office in town again, vowing to exit politics with the same “class and dignity” he said he had when he first entered. “The new council coming in has the right to run this town their way, without taking pot shots from a curmudgeon like me,” Tamburro jokingly said, according to a 2007 article from The Sun where he reflected upon his final meeting as mayor. Upon Tamburro’s death, many of those who shared memories of the man online would fondly recall that same sense of humor. And while he did leave local politics for the remainder of his life, Tamburro remained involved in various township groups and organizations. Throughout his life in town, he founded the Marlton Recreation Council and was a coach and volunteer, founded Boy Scout Troop No. 29 and was part of the Evesham Twinning Association. Tamburro was also a parishioner at St. Joan of Arc Parish for many years. Another elected official to comment on Tamburro’s passing was current Republican Assemblyman Joe Howarth (NJ-8), an Evesham resident himself who served on the Evesham Township School District Board of Education when Tamburro was mayor. 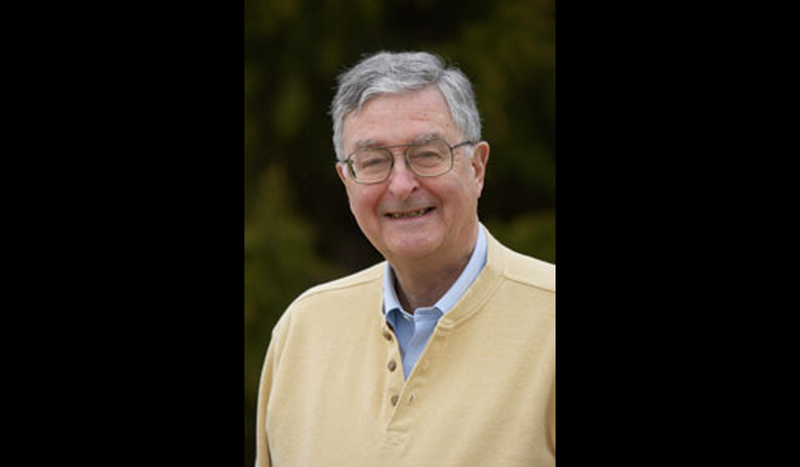 “His work to make Evesham one of the biggest small towns in the state can still be seen today and is an example of what every public servant should strive to be like,” Howarth said. Tamburro himself would also reflect on his public service to Evesham Township through the advice he would offer to future municipal leaders upon leaving office in 2007. A viewing for relatives and friends is scheduled for Monday, April 15, from 6 to 9 p.m. at Bradley Funeral Home, located at 601 S. Route 73 in Marlton. A Mass of Christian Burial is scheduled to be celebrated on Tuesday, April 16, at 10:30 a.m. at St. Joan of Arc Parish, located at 100 Willow Bend Road in Marlton. Entombment is scheduled to follow at Calvary Cemetery in Cherry Hill. In lieu of flowers, donations may be made to St. Joan of Arc School, located at 101 Evans Road in Marlton.